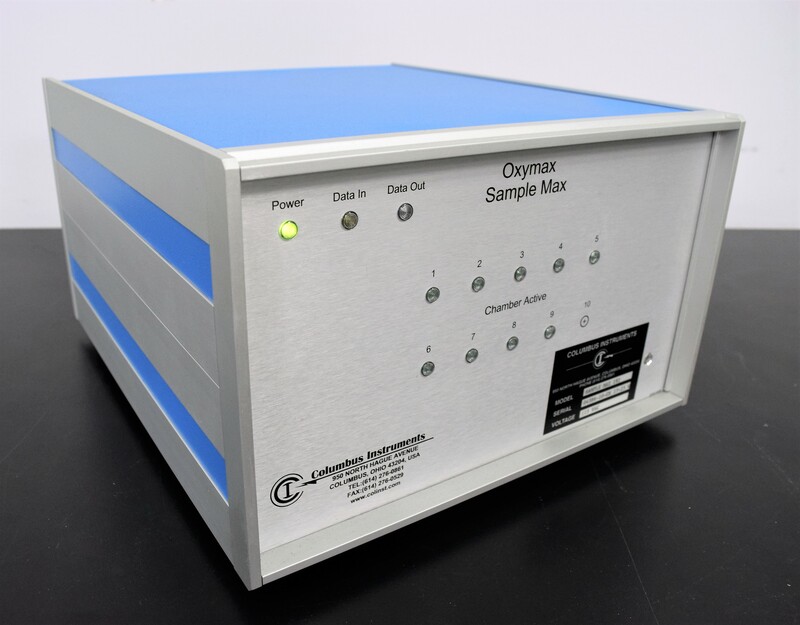 Columbus Instruments Oxymax Sample Max 191 9-Channel for Animal Testing Unit . New Life Scientific, Inc. The Columbus Instruments Columbus Instruments Oxymax Sample Max 191 is in good cosmetic condition with minor wear. This unit comes with 9-Channels. All the input and output connections are in good condition. The instrument was powered on with no issues found. Other components for this system are offered in our e-store.